This handsome gameboard looks (and weighs!) like marble but is actually glass painted on the reverse side in green and caramel as well as plain white squares. 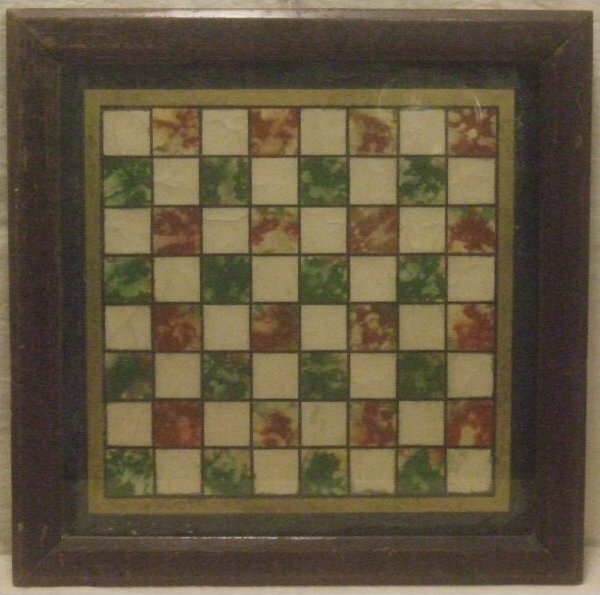 Is this checker| or some other game, given the third color of squares? Substantial mahagony frame; wonderful decorative appeal.